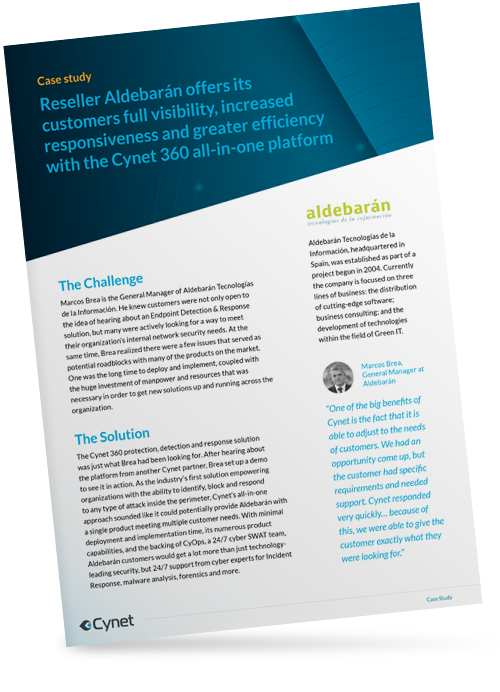 Cynet reseller Aldebarán Tecnologías knew that two of the major roadblocks many security products faced when considered by potential customers were the long, complicated deployments and the major investment of time and resources necessary to get them up and running. In Cynet, Aldebarán found a solution that made those challenges a non-issue. Download the Aldebarán Tecnologías case study to learn more.